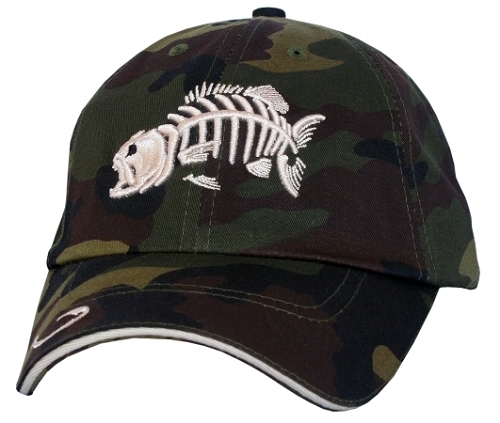 Camo BASS Fishing Cap - Military Camo with 3-D Skeletal Bonefish Style with 3-D BASS embroidered on front, with hook on bill, Get Reel…Get Fish! 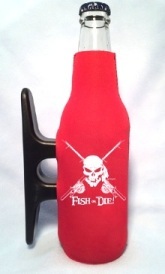 on rear closure - constructed fit. 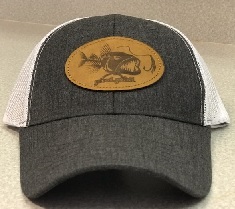 Great Bonefish style BASS camo FISHING HAT!